Oh how the tides have turned. California, once a bastion for anti-vaccination activists, adopted one of the toughest vaccination laws in the country this week. On Tuesday, Governor Jerry Brown signed the new legislation, which requires all children attending public schools to be vaccinated against polio, measles, hepatitis B and other preventable diseases. Importantly, the law removes exemptions based personal and religious objections to vaccination. Currently, more than 80,000 students escape vaccination under personal belief exemptions. Vaccination opponents have vowed to fight the new legislation. Though vaccinations have been responsible for reducing and eliminating once common diseases, they have recently faced opposition. Some "anti-vaxxers" believe vaccinations can be connected to autism, for example, though there's no scientific evidence supporting this claim. As anti-vaccination opinions have spread, the amount of family's claiming exceptions to the state vaccination law has soared. The large amount of unvaccinated children in California schools began to make headlines following an outbreak of measles this December. 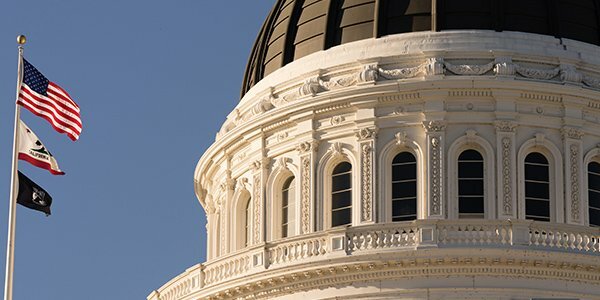 Facing new pressure to ensure greater protection against such preventable outbreaks, California's legislature took up the new, more stringent restrictions. Under the new law, parents would not be able to claim a personal or religious exemption. Only children who cannot be vaccinated for medical reasons will not be required to comply. It is those children, often, who are put at the greatest risk when "herd immunity" is weakened by low vaccination rates. Herd immunity is a form of indirect protection from disease which prevents at-risk individuals through the general immunity of the group. The law makes California only the third state to refuse religious exemptions to vaccinations. Only West Virginia and Mississippi also don't allow religious objectors to avoid vaccination requirements. Thirty states, plus D.C., do not allow exemptions for personal belief. Indeed, California had attempted to improve its vaccination rates before. A 2012 bill would have required parents to confer with a doctor before claiming an exemption. The bill passed through the state legislature relatively easily, but Governor Brown carved out large exemptions when he signed it in to law. This week's new law goes even farther than its predecessor and now has the support of the governor. Opposition to vaccination remains strong among some, however. The once-popular comedian Jim Carrey, for example, called Jerry Brown a corporate fascist on Twitter. Former state assemblyman and candidate for governor, Tim Donnelly, filed to put the law up for a statewide referendum. Anti-vaccination activist have declared that they will soon sue to prevent the law from being implemented. In the meantime, however, doctors and public health advocates continue to celebrate the change.